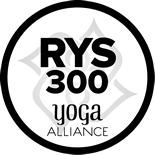 The 300 hour yoga teacher training is certified by Yoga Alliance with training modules held in Athens, Georgia. Students will be able to achieve their 300 hour certification in just 10 weekends. 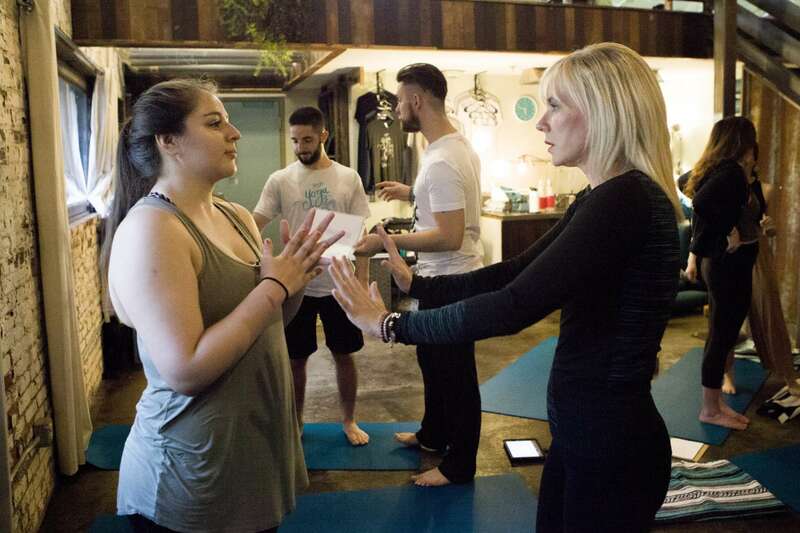 This training format makes deeper yoga teacher training more accessible to those working full-time, people with children, or those who live outside Athens. You can complete your 300 hour in 10 weekends with very little disruption to your life. Modules are offered at a minimum of one per month. 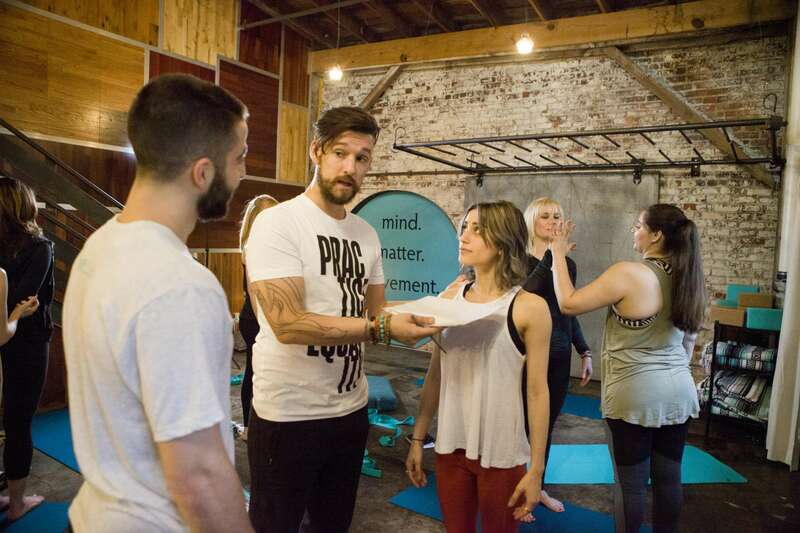 The modules also count as yoga continuing education to maintain up-to-date certification. With 6 required modules and a variety of elective modules, you get to decide what kind of yoga education you would like to have and what kind of instructor you want to be. Some of the modules are immersions, while others are just weekends so that you can decide the ones that fit your life and needs. Our teacher trainers not only have thousands of hours of teaching experience and E-RYTs behind their name, they also come with credentials like Ph. D, RN, LaPC, etc. These are not only experts in the yoga field, but also in their professional fields as well. Join Nick Combs, RN E-RYT for a journey into the anatomy of the shoulders. We will explore the joints, musculoskeletal anatomy and how it relates to yoga. Lots of emphasis will be placed in applying knowledge gained to yoga teaching and effective cueing for both safety and alignment. Common dysfunction and how to modify through will also be addressed. Learn how to tell a story through the body by sequencing masterful classes to help your students achieve success in their bodies and minds. Styles of classes include all levels vinyasa, peak pose classes, peak sequence classes, alignment based/hatha classes, energetic sequencing and sequencing to different levels. This is definitely the training to take to become a masterful teacher and learn more about how to get your students to understand yoga through their unique bodies. Join Nick Combs, RN E-RYT for a journey into the anatomy of the hips. We will explore the joints, musculoskeletal anatomy and how it relates to yoga. Lots of emphasis will be placed in applying knowledge gained to yoga teaching and effective cueing for both safety and alignment. Common dysfunction and how to modify through will also be addressed. This module will explore some of the foundational yoga texts where the practice of yoga originates. The Bhagavad Gita, The Yoga Sutras, The Hatha Yoga Pradipika and The Upanishads shall be the focus. Explore not only the unbelievable philosophy behind the practice of yoga but also learn how to apply it as a teacher. Learn how to theme your classes and translate this knowledge effectively and succinctly to your students. Come and dive into the beautiful practice of Yin Yoga. Yin yoga is a practice in which poses are held for longer periods of time to encourage deep stretching. 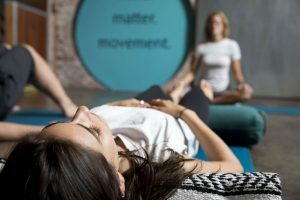 When partnered with the knowledge of energetic meridians, yin yoga offers a deeper connection to your center and body. Based in Taoist philosophy, yin yoga targets connective tissue (ligaments, tendons and fascia) to lengthen these areas and make the joints of the body more mobile. This module is perfect for practitioners of yoga as well as teachers looking to incorporate yin into class settings. This is module 1 and 2 of Rocket Teacher Training. This is an advanced studies module of The Rocket Yoga System developed by Larry Schultz. Ashtanga Yoga will be heavily emphasized including breath, bandha, and drishti as well as the “function over form” concept of pose modification. We will discuss the distinct difference between Yin Yoga and restorative and reference different benefits to a restorative practice. We will discuss the use of multiple props and poses in order to gain the best benefit for the practitioner and how to modify for people with back problems or different pathologies. Setting the mood/tone for restorative will be highly emphasized. Material from Judith Lasaster will be discussed. This will be several opportunities to both receive and guide the immensely restorative, deep relaxation of Yoga Nidra. We will feature integrative discussion/Q&A on the philosophy and clinical research supporting the practice, including how it relates to waking and dream life, releasing anxiety and PTSD. The methodology will be in the iRest philosophy and research from Richard Millers program will be discussed. Note: This is not an iRest certification course. When is the 300 hour yoga teacher training held? The training modules are offered at various times throughout the year, some times multiple times a year, depending on need for each. We also will be holding some of the required modules as weeklong combined modules to every further expedite your training. What days and times are the yoga training modules? Each weekend module begins Friday at 7pm and ends Sunday at 5pm. So the breakdown is Friday 7-9:30pm, Saturday 8am to 5pm, and Sunday 8am to 5pm.Our schedule is designed to minimize the impact to your life. 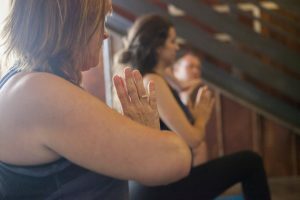 The M3Yoga Center has pulled together some of the most experienced instructors in Northeast Georgia, with thousands of hours of experience. Module instructors vary, with instructors teaching modules they are the experts in. Non-local instructors will be brought in from time to time to further enhance our instructional offerings. Are there any other expenses besides the cost of modules? If you are seeking a 300 hour with Yoga Alliance, we do require an application and records fee prior to your first module. Also, our trainees have a list of readings that will help deepen their training and practices. These books can be purchased or you can borrow them using the library system to request copies. What makes this training different from others? On top of our weekend module format making the training accessible to students, those who work, or those with families, the 300 hour training also is designed and is led by a registered nurse and yoga teacher. That means you're taught the body by someone who professionally healed it. Our training also includes a wide variety of experts and topics, allowing you to become the best yoga teacher you can be while picking which modules you want to learn along the way. Do I have to practice at M3 to take the training or during it? There is no requirement to practice at the M3Yoga studio before, during or after your training, but our trainees are expected to have a regular practice during the training (It can be at your home studio or even at home!). Practicing regularly during your training will help deepen your experience and prompt questions for you to ask during training days. Trainees who want to practice at M3 will receive a reduced membership rate during and after the training. Are there any perks for doing the training? Definitely! We honor our teacher trainees by allowing them to sign up for a discounted unlimited membership at M3Yoga indefinitely (as long as you complete the training). Is this 300 hour yoga teacher training right for me? -You are 18 or older. -You have a deep desire to deepen your yoga practice and/or a desire to share your love of yoga with others. -You are ready to accept the challenge and deepen your life with an in-depth study of yoga.